A total of 160 lifters from all over the UK descended on Horncastle for the British Powerlifting Championships - with the host club finishing with a series of first places and a national record. Ending the weekend on a high, Graham ‘Big Show’ Mellor lifted the biggest bench press in British powerlifting history with a gigantic 317.5kg - 700lb in old money - ranking him number one on the all-time list. Horncastle Powerlifting Club’s success stories began on day one. In the ladies’s 52kg class, Michelle Franklin won the over 50s class with a 332.5kg total. In the seniors, the ever-improving Linzi Waite secured second place with a 322.5kg total. Amelia Maycock, in her first over 18s competition in the 63kg class, squatted 140kg, bench pressed 70kg and pulled a big 162.5kg to take the title. In the 72 kilo category Joy Mineo lifted superbly and took the title with a 355kg total. Hannah Graham finished second in the junior under 23 class. In the men’s 66kg class, under 18 lifter Ben Hartley secured his second straight British title, with a 455kg total. In the 74kg class, senior Paul Campbell had to be on his A-game, needing a 260kg final deadlift to secure the title in a very strong class. Danny Saunders came third and Khalon Hodson just pushed out Danny to take second. In the 120kg class, Chris Farrow managed to take second with a 755kg total. Day two saw the bench pressers take the stage. Michelle Franklin was first up, bench pressing 65kg. Jax Gough and Sarah Bouskill battled it out in the 84kg-plus over 40 category, Sarah getting the win this time with a 147.5kg bench press to Jax’s 140kg. They are now ranked fourth and third respectivaly in the all-time in British ladies’s standings. In the men’s category, over 60 Gly Belsher competed in the 93kg category and Bob Baxter in the 105kg. In the over 50s 83kg class, Kev Barrs won with his first attempt of 152.5kg, James Brincat-Smith winning the over 40s 120kg-plus category with a comfortable 220kg bench press. 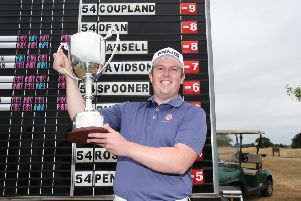 Callum Sidebottom, taking part in his first British Championshipss, lifted a great 190 kilos to take third place before the day ended in triumph for Mellor.